To say this in Japanese you use 「A は B です」. In Romaji, this becomes “A ha B desu”. However, because “ha” is used as a grammatical construct (particle), it is actually pronounced “wa”. The best books for beginners are Genki I and Genki II, no question. If you can read hiragana/katakana fluently, feel free to try my Konna Kanji app as a Kanji reading quiz/practice tool that I made some time ago. JLPT N5 is your starting point. 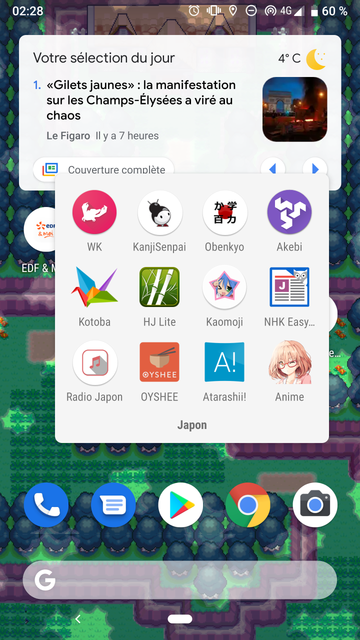 In my case, use Japanese article app, the name is 1-min Japanese. Update 1 article for a day, and offer translation for Korean(my native language).